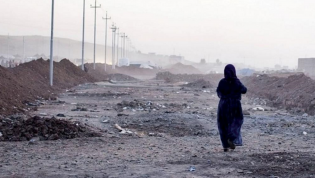 Iraqi women continue to be subject to physical, emotional and sexual violence, according to a new report by Minority Rights Group International and Ceasefire Centre for Civilian Rights. The High Representative for the United Nations Alliance of Civilizations (UNAOC) has declared the need for global reconciliation in the face of new and emerging ideological threats in the 21st century. The political crisis engulfing Yemen is depriving the country’s youth of food and schooling, warns the United Nations Children’s Fund (UNICEF). Supporting small-scale farmers is no small-time feat, according to consultants at a conference on “Setting the Course for a World without Hunger – North-South Dialogue on the Role of the G7”. In a time-sensitive appeal, a U.N. Human Rights Expert has urged the Indonesian Government to halt further executions of people convicted of drug-related offenses. A recent study suggests that one of the multiple threats to coral reefs contains both the problem and solution. The International Day of Zero Tolerance for Female Genital Mutilation (FGM) continues to engage health personnel in helping terminate the practice of altering or injuring the female genitalia for non-medical reasons. A recent case study on Canadian mining abuses in Latin America has woven one more thread of justice into the tapestry of international law. The power of intercultural dialogue in a diverse world was discussed from many angles at an event launching the Third World Forum on Intercultural Dialogue. Global food security is an antidote to conflict, the U.N.’s Food and Agriculture Organization (FAO) Director-General José Graziano da Silva said in a special meeting of the U.N. Peacebuilding Commission in New York. The future of sustainable development has promise -- and that promise is now, according to the head of the United Nations Development Programme (UNDP). Unchecked climate change and the nuclear arms race have propelled the minute hand of the Doomsday Clock forward two minutes closer to midnight, from its 2012 placement of five minutes to midnight. The protection of children in Nigeria’s northeast relies on urgent action, the Special Representative of the Secretary-General for Children and Armed Conflict concluded during a weeklong assessment in the war-torn country. The Asia-Pacific region is expected to register a moderate increase in growth in 2015, according to the U.N. Economic and Social Commission for Asia and the Pacific (ESCAP).